Penguins appeared around New Zealand and Antarctica probably at the end of the Cretaceous Period when the dinosaurs vanished. This was about 65 million years ago. Our African penguin is however much younger, about 2-4 million years old. Some think that they came from Antarctica during a period when the climate became cooler. In the past, other larger penguin species also inhabited southern Africa. 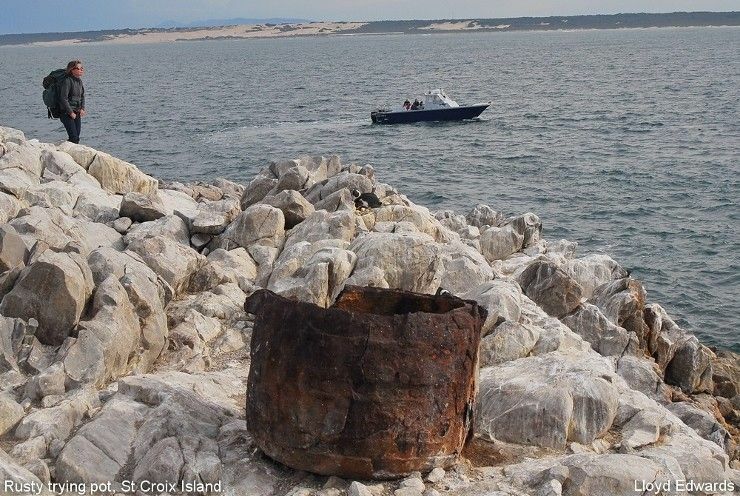 We know this from fossils found at Langebaanweg near Saldanha Bay. These giants disappeared to leave only the unique African penguin behind. During the last few centuries penguin numbers have fluctuated significantly, largely due to human interference. As early as the 16th century ships passing South Africa on their way to India were using penguins as meat, despite the unpleasantness of their taste. They also collected their eggs, and later used their fat and their carcasses as fuel for ships’ boilers. A worse impact, however, which still has repercussions today, was guano scraping on the islands. This was used as a fertiliser before the advent of artificially produced ones. 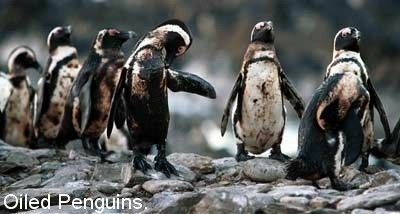 From the middle of the 19th century and for about 150 years, 200 000 tonnes of guano were removed from the South African islands. Penguins need this precious material to dig in and make their burrows, which provide them with shelter from the South African sun and predators such as gulls. 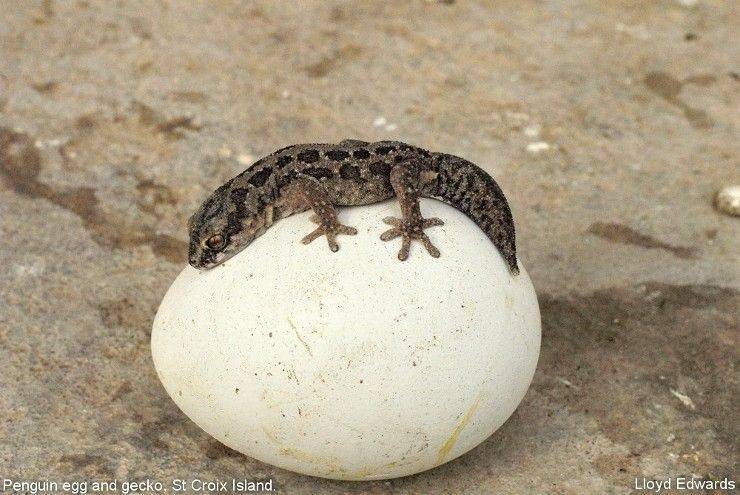 Nowadays, on Bird and St Croix islands in the bay, most birds are forced to breed in open nests, fully at the mercy of the elements and of predators. 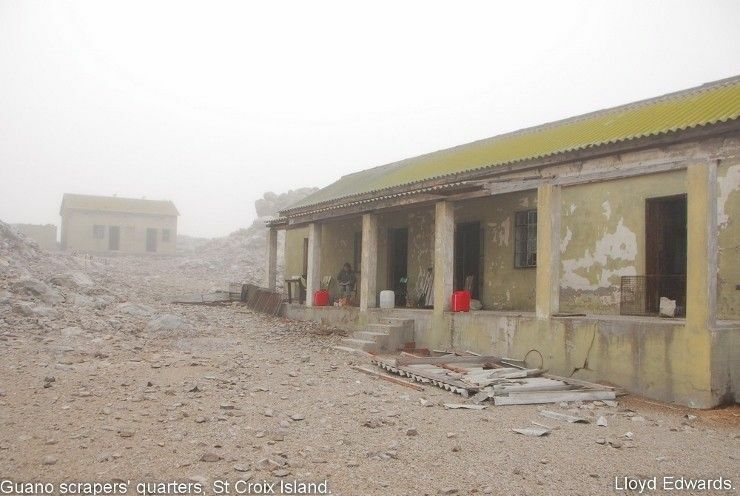 For example, this caused the death of 400 chicks on Bird Island last year, after a severe storm. Meanwhile, penguin eggs were a common meal for guano scrapers, sealers and other workers staying on the islands. They were also considered a delicacy and exported overseas. Wednesday’s breakfast in the South African parliament was never missed; the traditional fare was scrambled penguin eggs! 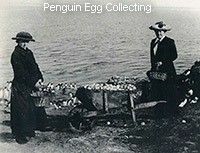 We estimate that between 1900 and 1930, 13 million eggs were collected from Dassen Island alone on the West Coast. As a consequence of the above, penguin numbers decreased by 90% during the 20th century. 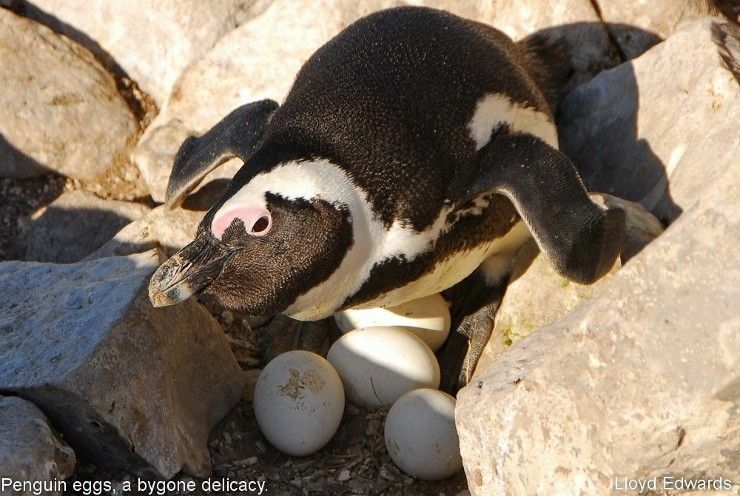 No penguin eggs have been collected commercially since 1968, and the guano scraping stopped in South Africa in 1991. 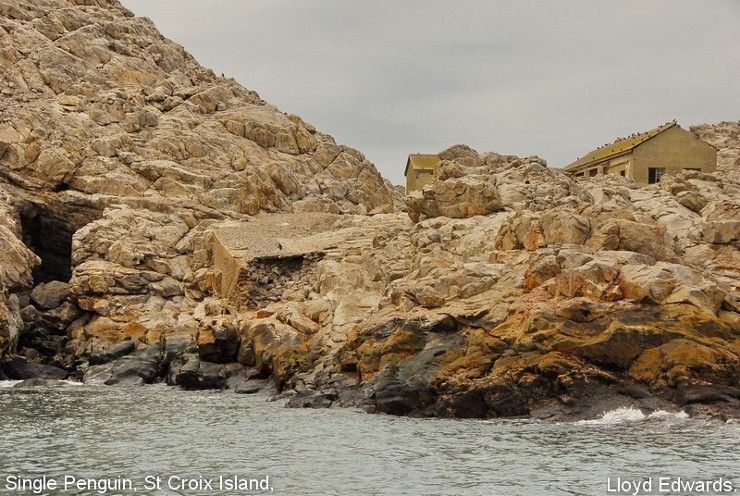 The last guano was harvested on St Croix Island in 1955. On Bird Island penguin numbers increased after the lighthouse was converted to automatic in 1968 and the keepers withdrawn. 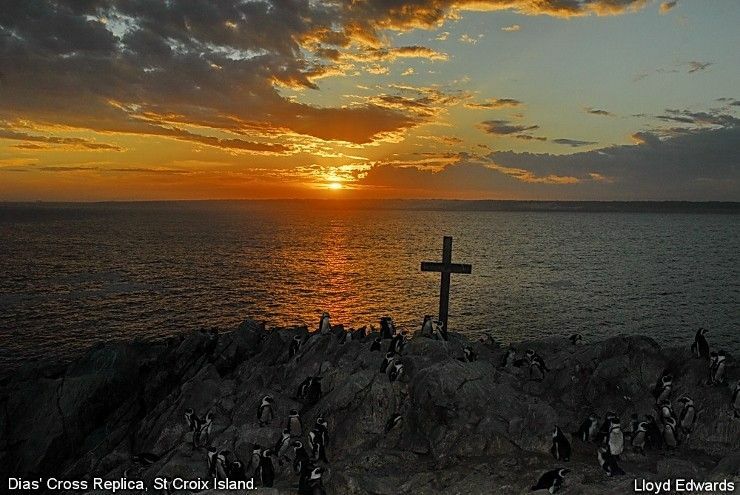 Rabbits were finally eradicated in 1991 which had denuded Bird Island of any vegetation that gave the penguins protection. Even if guano scraping is still active in Namibia, it is much more limited and takes place outside of the breeding season. 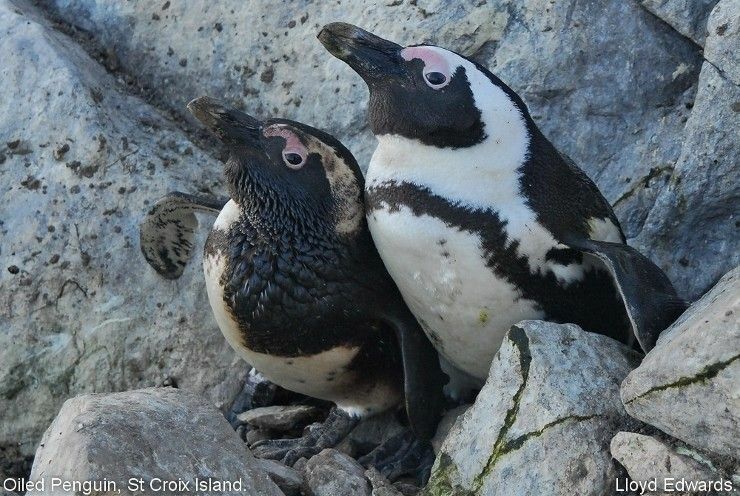 Oil spills that are either deliberate or accidental continue to take a heavy toll on penguins. An oil spill near any breeding colony spells instant disaster. Even a small amount of oil on a penguin causes it to lose its insulation from the heat sapping sea water and it eventually dies of hypothermia. 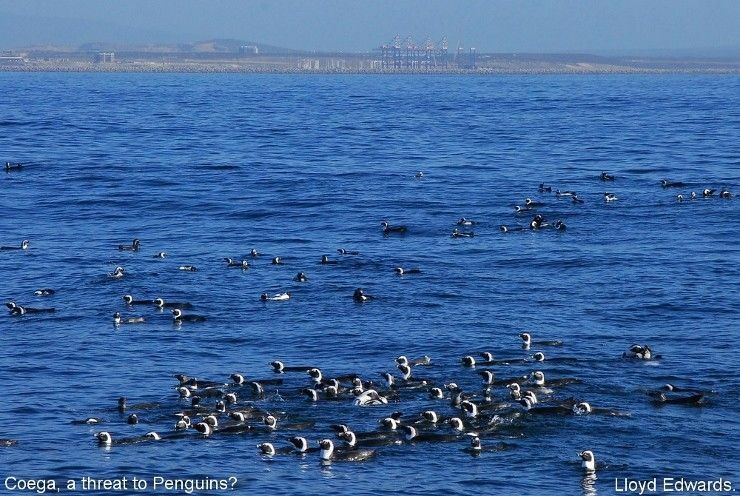 Three oil carriers that sank near Algoa Bay caused the death of hundreds of penguins, namely the Silver Castle (1972), the Pati (1976) and the Kapodistrias (1986). After their protection, the penguin population recovered and peaked at the beginning of the 2000s, but are now decreasing drastically at a rate never seen before: we lost more than 60% of all our penguins in 6 years!! As an example, the population on St Croix fell from a high of 60 000 in 2004 to 18 000 at present. That means 42 000 penguins have disappeared! Another problem is the bitter lesson we learnt from Namibia. After the 2nd world war, purse-seine fishery increased to such an extent, without proper regulations, that the seas were emptied and the sardine population collapsed. There is still no apparent recovery today. 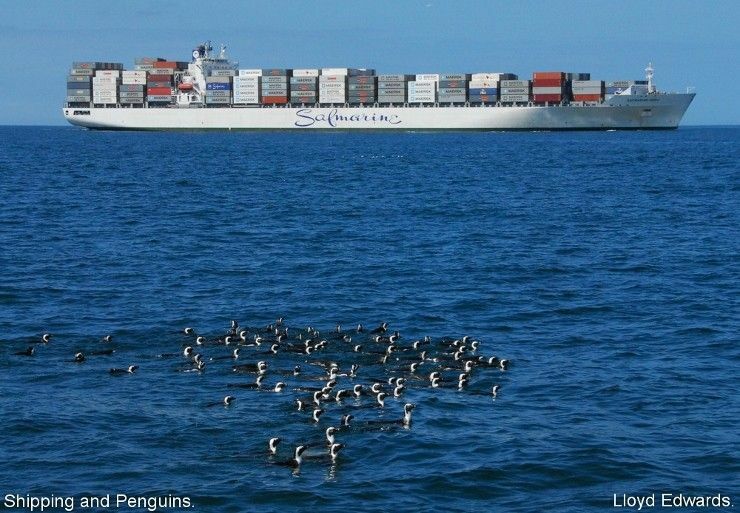 The consequence of that over-fishing was a dramatic decline in several species of seabirds breeding in Namibia, including penguins. 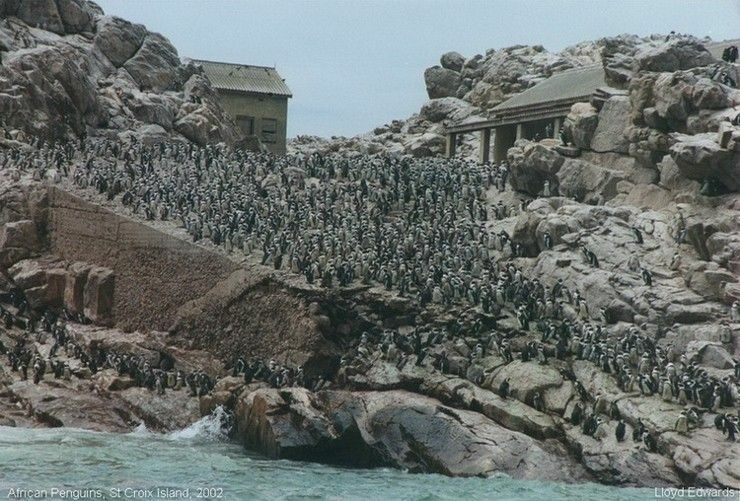 Wary of that sad situation, scientists got alarmed seeing the very recent penguin population trends. Indeed, there are three different breeding populations of penguins, one in Namibia, one in the Western Cape and one in our Bay here, and they are all decreasing. Because we didn’t observe any disease outbreaks or any substantial increase in predation, we all think it is due to a food problem.